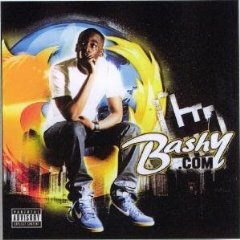 Bashy drops His Latest mixtape in the form of “Bashy.com” and with he his definitely going from strength to strength having a strong 2008 with singles “Black Boys” & “Kidulthood to Adulthood” plus dropping the “ChupaChups” mixtape. Favourite cuts off the album are “Drive” ,”See People” and “Blacks and Gold” but I have always been a fan of any MC’s more conscious tracks. Uptempo tracks are also executed well like the Jungle inspired “Feelings” and opener “Bashy” plus the concept and joke interludes add value to the set. All in all .. its Big!